Today Richard Tucholka would have turned 65 yrs old. In honor of his birthday we at Tri Tac Games wish to announce the upcoming 10th Anniversary Edition of Hardwired Hinterland. We are following through on Richard's wishes that his games continue to evolve. 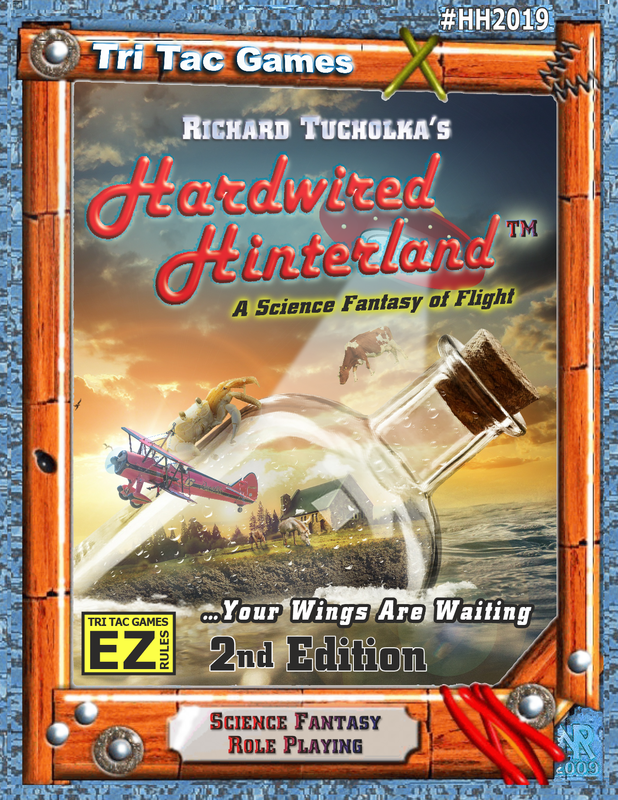 Hardwired Hinterland 2nd edition is our tribute to staying true to Richard's ideas, yet expanding them to reach a new generation of gamers. The new edition of his unique and enjoyable adventure game includes expanded Environ information on all existing areas - including new scenarios to discover in those Environs - along with New Environs to explore that have their own mysteries and quirks to expand the Hinterland mystique. We have added streamlined EZ rules to allow GMs to use the rule system they prefer, and provide a guide to converting The Hinterland setting to any rules. Flight mechanics and crystal use have been revamped to allow a better flow in the game. Throughout the entire book the art has been updated when possible, replaced when necessary, to give a more enticing array of images. All in all we are hoping that this version of Hardwired Hinterland will become as classic as the original. We will never forget Richard. May this newest expansion of the Tucholkaverse keep him ever fresh in your memories as well. Look for this marvelous addition to the Tri Tac Games family of games this Spring!